Brandon L. Thorson earned his Bachelor of Arts degree in History in 2010 from the University of California, Los Angeles. In 2013 he received his Juris Doctor from the University of Pittsburgh School of Law. Mr. Thorson joined the State Bar of California in January 2014. Mr. Thorson is a member of the State Bar of California. 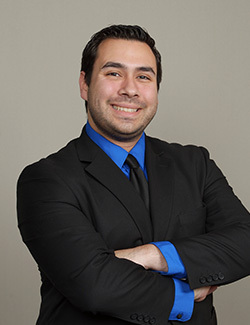 While attending law school, Brandon won the William Eckert Prize for superior academic writing and was associate editor for the Pittsburgh Tax Review. After graduating law school, he spent a short time as a law clerk, drafting opinion letters for commercial real estate transactions. Brandon joined DGC’s Long Beach office in 2016 as an associate attorney. Prior to joining the firm, he practiced workers’ compensation defense and civil subrogation for employers and carriers at a defense firm in Los Angeles. In his free time, Brandon enjoys reading history and science fiction, discovering new music, traveling, and exercising.